There are some figures that I feel compelled to create, there seems a strange kind of reassurance in it. It was not human, at all, but definite geometric shapes. But when blocked as I worked through it there would be redemption from whatever bothered me. only when I looked at the work of Radhakrishna Bandagudde did things fall into place. Like Roman Payne put it”the muse is not an artistic mystery but a mathematical equation. The gift are those ideas you think of as you drift to sleep. The giver is one you think of when you first awake.”Inspiration I figured is an intangible yet inseperable part of the creative process. Nearly all creative process. Nearly all creative possibiilities are related to the muses that inspire us. Ancient civilization be it Indian or Greeks believed that all creation, whether artistic or scientific in nature by motivated by goddesses who served as the literal embodiment of inspiration. These were muses – the givers of the creative sparks. We still rely on them to drive the creative process only we don’t recognize them as “muses” for they take diverse range of forms, as people we meet, intriguing ideas, movies, books, movies, nature, cultural ideals all have the potential to awaken our imaginative minds. Its only when we get in touch with our muses we understand viscerally that we are capable of producing our own unique kind of greatness. All of us need to be in touch with a mysterious,tantalizing source of inspiration that teases our sense of wonder and goads us on to the life’s next adventure, and these are our/ muses sometimes they are ghosts and sometimes they come uninvited. When I see my friends, who are walking the creative path, I see that they have one muse that stays with them and others peek stay a while and move on. the owner muse seem to give them courage to move on. many of them are even aware of the muse that keeps peek into their life and living. This particularly friend of mine who was real estate liason officer was irritable and generally fell flat when she did anything. 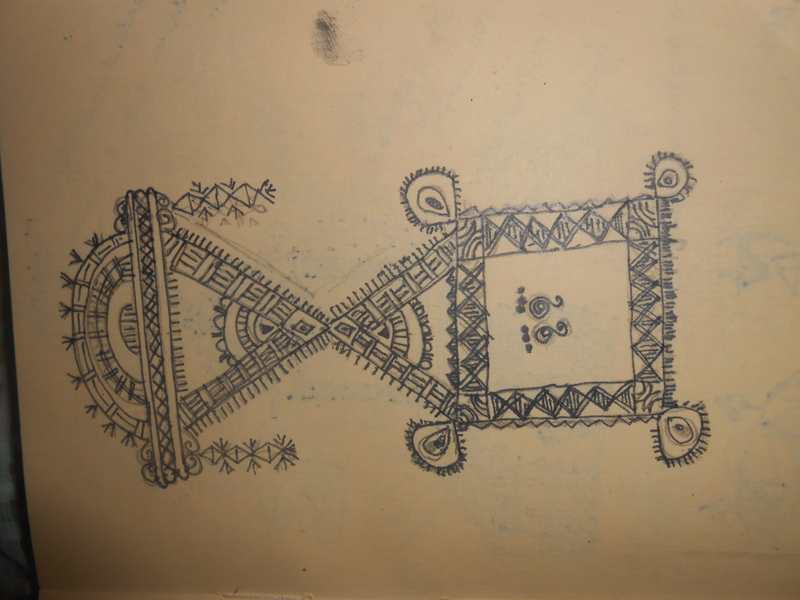 She attended a reiki workshop after which she just kept a note book so that she could address that negative thought when it popped in, she called the book some name, somewhere along the line she realized that there were systemic drawings that she drew and when ever she did her thinking turned clearer. She did go for a basic art class but didn’t really help her, but now just the book has released her, negative thoughts are addressed so are the inspirations. She keeps every Saturday as an artists date, where she has a group of other such closet sketchers this group has become her feeder connecting her with herself. Whether it was me or my friend, identifying and connecting to our muse made a great difference. By giving ourselves over to the creative inspiration it provides it takes us into a world of impregnable solitutude. This is a secret that real artists know and wannabe writers don’t, when we sit down each day and do our work power concetratesaround us. the Muse takes note of our dedication. She approves, we have earned favour in her sight. When we sit down and work we become like maganetized rods that attracts iron filings. Ideas come, Insights accrete. Next PostNext On Being Mary Kom.